Will 2014 finally be the year of the smartwatch? We recently went hands on with the new generation of Samsung Gear smartwatches, but perhaps one of the more compelling developments is the pending launch of Android Wear. One of the first devices to use the wearable-friendly OS will be the LG G Watch and apparently, it has now been priced. Set to launch some time “before July” of this year, the LG Watch is one of the two main smartwatches that will be powered by Google’s Android Wear. The Moto 360 is the other. Aside from the OS and recognizing that the G Watch will have more of a square face rather than the round face of the Moto 360 smartwatch, we don’t know all that much else about this device. 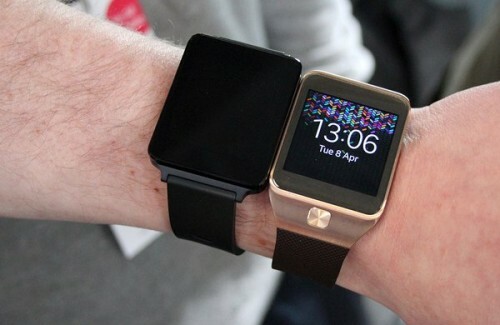 What we have heard is that the G Watch is expected to retail for 180 GBP, according to the “sources” at Pocket-Lint. That works out to right around US $300, which would be perfectly in line with the Samsung Gear 2, which is pictured above next to the G Watch for scale. Which would you prefer? Or do you want a different smartwatch altogether? The successor to the Sony SmartWatch SW2, perhaps?